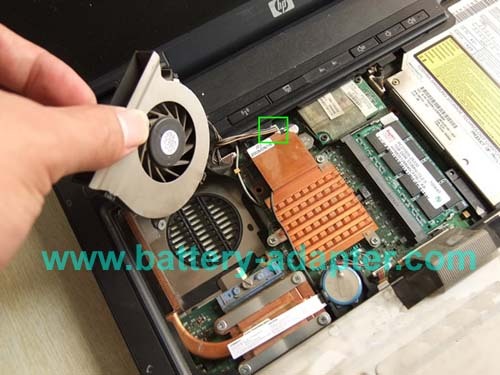 In this guide, the actual laptop is HP Compaq Business Notebook NX6120. 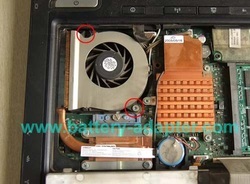 You can try to use it to remove the fan from HP Compaq NC6110 NC6120 NX6110 NX6130 NX7300 NX7400 laptop. 1. Turn off your HP Compaq NX6110 / NX6120. Disconnect the power adapter and remove the battery. 2. Remove the keyboard. 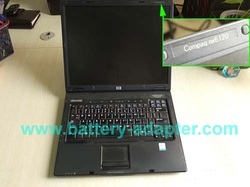 You can refer to my another article How to Replace HP Compaq NC6110 NC6120 NX6110 NX6120 keyboard. 3. 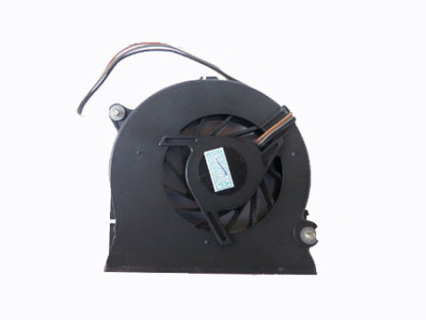 Now, you can accept the fan assembly. Loosen the two screws that secures the fan to your HP Compaq NX6110 / NX6120. 4.Lit the fan and unplug the fan cable. 5. Then you can remove the fan. Reverse the procedure to install your new fan and assemble the computer. HP Compaq NC6110 NC6120 NX6110 NX6120 battery.